The Wedding Planning Subscription All Engaged Couples Need — Catalyst Wedding Co.
It’s no secret that wedding planning is a daunting task. 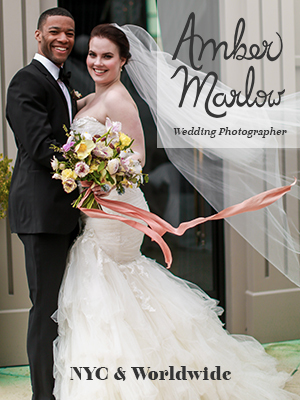 Why else would there be a whole industry devoted to helping you have a stress-free and magical wedding day? We here at Catalyst believe that every wedding planning process is made easier by hiring a badass, feminist wedding planner to help you make sense of the chaos, but we know that not all couples can fit a full-service wedding planner into their budget. That’s why we are so in love with the new Choose Your Own Wedding planning subscription from queer wedding planner Cindy Savage of Aisle Less Traveled. Her new subscription allows engaged couples to take full advantage of Cindy’s expertise at a fraction of the cost of hiring a traditional wedding planner. Plus, it means she gets to serve more more couples, and helping people celebrate their love is what Cindy and Aisle Less Traveled are really all about! So, is a wedding planning subscription right for you? Here are 7 reasons you should stop what you’re doing and sign up today. Let’s face it, y’all, you get what you pay for. That’s why hiring an expert wedding planner is worth the (admittedly high) cost. With Cindy's help, you can get a wedding day that fits your relationship for a price that fits your budget. For $37 per month, or $350 for an annual subscription, you can access all of Cindy’s expert knowledge and get planning without putting a strain on your budget. And there is literally no option out there with as much value and as small a price tag as couples get with Choose Your Own Wedding. That’s because Cindy knows that many couples will be looking for answers to the same logistical questions. By offering advice in a group format and through a self-guided online portal, she’s able to serve more couples; the cost of wedding planning is then with other couples and that keeps it affordable for everyone. While Cindy is currently based in St. Louis and Portland, Oregon, she has always been willing to travel for her couples. But many couples are more likely to book a wedding planner in their town who they feel will be more accessible. This wedding planning subscription solves that concern and brings Cindy’s expertise right to you, wherever you are. Forget spending time in traffic getting to a meeting with your wedding planner or trying to make your busy schedules align! Choose Your Own Wedding brings you a complete online planning portal to guide you along the way — and it’s available online, 24/7. Plan whenever and wherever is most convenient for you. Cindy has really thought this process through, and has created a series of modules with video guides that step you through the whole wedding planning process. No matter what part of your wedding you’re working on right now, there’s help to get you through it. You can go in order if you’ve just started planning or go directly to whatever task is at the top of your wedding planning checklist. Every module is available to you from the moment you subscribe, so couples can structure their planning in a less stressful way and not waste any time on things that don’t apply to their weddings. Weddings have a ton of details to keep track of and logistics to sort out. Cindy knows that you have better things to do with your free time than scour the internet for wedding planning templates — and that’s why there all available to you with your subscription. From budget tracking to creating a sensible timeline to making sure you get all the pertinent info from potential wedding vendors, Choose Your Own Wedding has you covered with templates you can download, add to your Google Drive, or print and take with you as you evaluate venues. And in case you’re wondering: they’re the exact same templates Cindy uses with her one-on-one clients. Let’s face it, your wedding isn’t going to be a cookie cutter wedding, and an online portal that covered every single wedding possibility would be so long that you’d never get through it. That’s why Choose Your Own Wedding includes a group video call with Cindy each month. Couples can ask any unanswered questions they might have and get insight on how to tackle DIY projects and other wedding dilemmas. With options to submit questions in advance and watch recordings afterward, couples can get their wedding planning questions answered even if busy schedules don’t allow them to attend in real time. The Choose Your Own Wedding Facebook group is one of my favorite parts of this subscription. You get access to a community of people who are in the midst of the same planning process as you. You are able to share your struggles, your brilliant ideas, and talk about things that are rarely answered in the heteronormative sea of wedding blogs and Pinterest. Besides being inclusive and fun, it’s another place to get Cindy’s advice personally tailored to your wedding needs. Though planning calls are only once a month, the Facebook group is open all day, every day — and your wedding planning questions are answered personally by Cindy in very short order. Cindy knows that even with the whole Facebook community at your disposal, there are bound to be some head scratching issues that pop up that need a little more attention. That’s why you there’s also a premium-level subscription, which comes with a monthly one-on-one planning calls with Cindy and her personal review of your vendor proposals, contracts, and any wedding planning documents you create. Plus, Cindy just really wants to get to know you better! 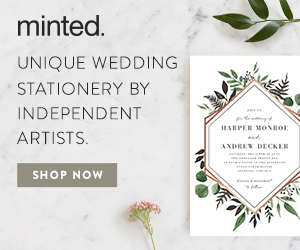 Well, I’m sold, so head to Choose Your Own Wedding and start planning now! Use code “CATALYST” to get your first two weeks FREE! Cindy is the lead wedding planner and owner of Aisle Less Traveled, based in St. Louis, Missouri and Portland, Oregon. She helps independent, feminist, and LGBTQ+ people plan meaningful weddings while keeping their budgets and their sanity intact. She firmly believes that everyone who has found their person deserves a great wedding, and behind every great wedding is a great wedding plan. In her quest to offer planning support for just about any budget, Cindy invented Choose Your Own Wedding, an internet-based wedding planning subscription, to offer comprehensive planning support at an affordable price. 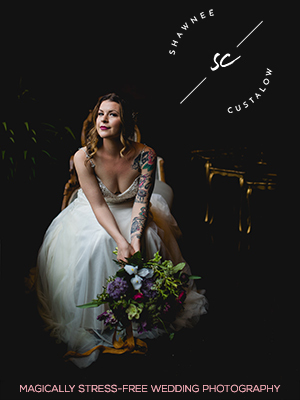 As a queer feminist, Cindy is deeply committed to erasing bride-centrism and increasing LGBTQ+ visibility within the wedding industry. She co-hosts the Super Gay Wedding podcast, works to educate wedding vendors, and organizes a monthly meetup for queer wedding vendors in her area to make inclusion a lasting trait in the industry. When she’s not planning weddings, she can usually be found living her best introvert life: hiking solo, crafting, or reading a great book with a glass of wine in hand. You can follow her exploits at @aislelesstraveled.